William Fox Pitt and Bay My Hero won the New Cooley Farm CCI1* Young Horse class at Tattersalls. Since its outset 10 years ago, William Fox Pitt and owner Catherine Witt have enjoyed numerous successes at Tattersalls highlighted by Rolex Kentucky winner Bay My Hero, a winner of the 1*, 2* and 3* classes at the Ratoath venue. 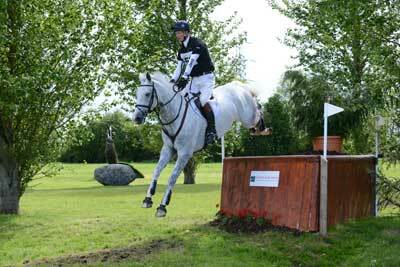 This year saw another horse in the same winning partnership take the new Cooley Farm CCI1* Young Horse Class. The Soapdodger and Fox Pitt, representing Great Britain finished the class on their initial dressage score of 37.60 ahead of New Zealand’s Jonelle Price riding Ascona M on a score of 44.70. Best of the Irish was Camilla Speirs riding Goldman finishing in seventh spot on 48.40. The exciting Dunboyne Castle Hotel and Spa CCNP1* saw the best and most promising riders compete for the title but it was Ireland’s Lucy Hancock with her Connemara pony Newtown Westie who took the title on a score of 45.60. Ireland’s Zara Nelson riding another Connemara Millridge Buachaill Bui finished in second place on a score of 47.40 and Sweden’s Selma Hammarstrom took third and fourth places riding Three Wells Breeze (52.30) and Sligo Fortunus (52.60) respectively.